The WeatherTech Solid Billet Aluminum License Plate Frame. We make no excuses for the price, but there are also no excuses for the superb American crafted quality either. This is a solid billet license plate frame for car collectors or for true car enthusiast only. Today, they are made one at a time right in the WeatherTech tooling factory in Downers Grove, IL. Furthermore they are made on an American made CNC milling machine and the machining time approaches two hours which includes real 3D machining. Even the cutters used to shape the metal are American made. None of this is inexpensive and therefore the price is what it is as our American machinists receive fair American wages, they are created on American made CNC machinery using American raw materials with American made cutters, and we use American sourced finishing of the billet aluminum. 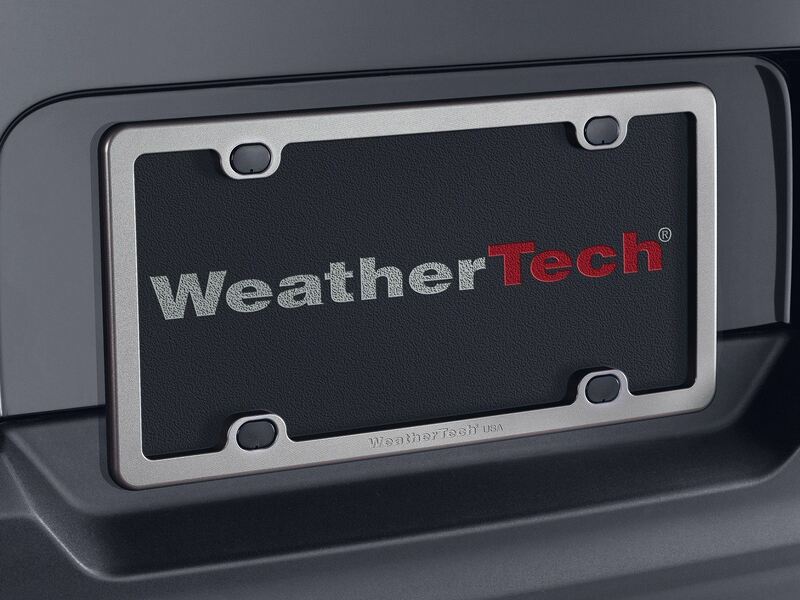 If you want the finest billet license plate frame on the planet and you want one made right here in America, look no further as you have found it at WeatherTech. Available in three bullet proof anodized finishes: Clear Bright Silver, Satin Black and Titanium Look. Handmade in extremely small batches.